Born in Galatia in the 360s, Palladius enrolled as a monk on the Mount of Olives in his early twenties. As a monk, he traveled to Alexandria, the desert of Nitria, the Cells, Palestine, Rome, and the Thebaid. During his travels he encountered Rufinus of Aquileia, Melania the Elder, the hermit Dorotheos, Macarius of Alexandria, Evagrius of Pontus, Jerome of Bethlehem, and John Chrysostom. 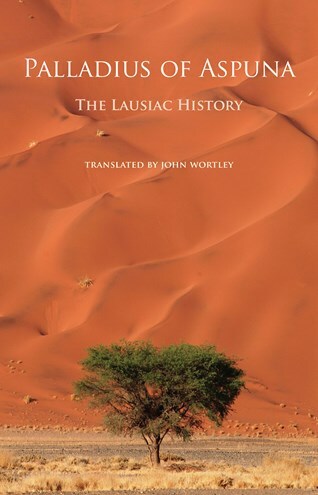 He wrote this elegant account of his visits to various monastic sites in Egypt toward the end of the fourth century AD for the imperial chamberlain Lausus. It is both the most sophisticated and the most informative of the few documents illustrating the earliest chapter in the history of Christian monasticism. Palladius's work is the only one of the major monastic writings not written for fellow monks to inspire them with models for their emulation but rather for a man very much of the world, with the explicit intention of exerting not only religious but also political influence. John Wortley is emeritus professor at the University of Manitoba and an Anglican priest. His previous publications include The Book of the Elders, Paul of Monembasia, and The Spiritual Meadow (all from Cistercian Publications) as well as Skylitzes' Synopsis of Byzantine History and The Anonymous Sayings of the Desert Fathers, both from Cambridge University Press.